Mount Sopris is a high, twin-summitted mountain peak located at the northwest end of the Elk Mountains in western Colorado. The mountain is located in western Pitkin County, south of Carbondale and southwest of the confluence of the Crystal and Roaring Fork rivers. It lies in the Maroon Bells-Snowmass Wilderness, part of the White River National Forest. 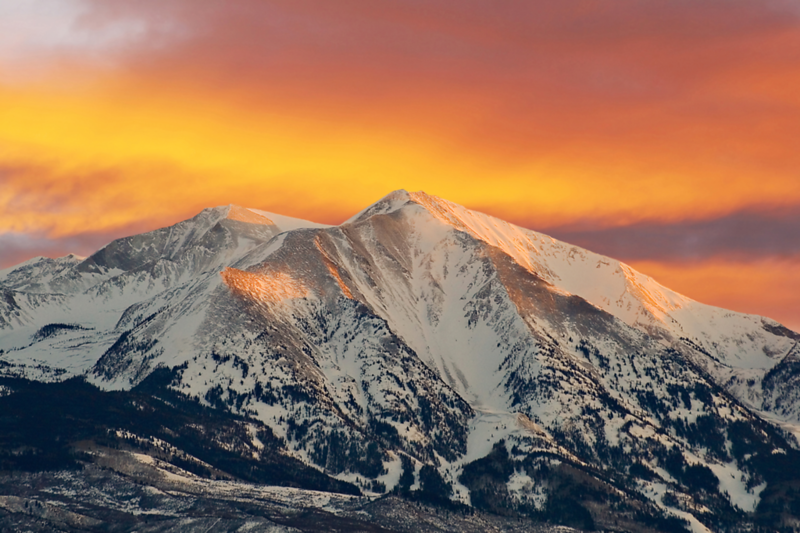 Mount Sopris is notable for having two summits, East Sopris and West Sopris, that are one-half mile (0.8 km) apart and have exactly the same elevation of 12,965 feet.